VERA D is undoubtedly one of the finest 74 Vikings ever built. The upgrades are numerous and the condition is second to none. Her full time crew has maintained her to the highest standards and her owner is the definition of “Open Checkbook” when it comes to keeping things perfect. VERA D is a rare offering on today’s market and will certainly move quickly due to the obvious factors. 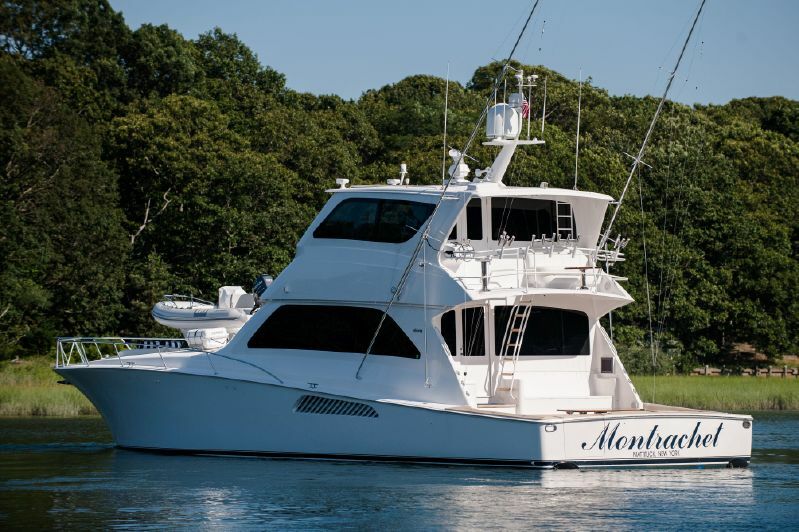 She features the upgraded MTU 2400’s with only 1200 hours, a top notch electronics package, Nautical Structures 2200# davit, 4 stateroom high gloss teak interior, full tuna tower, ice chipper, water maker, new underwater lights, HD-7 SAT TV, and so much more. 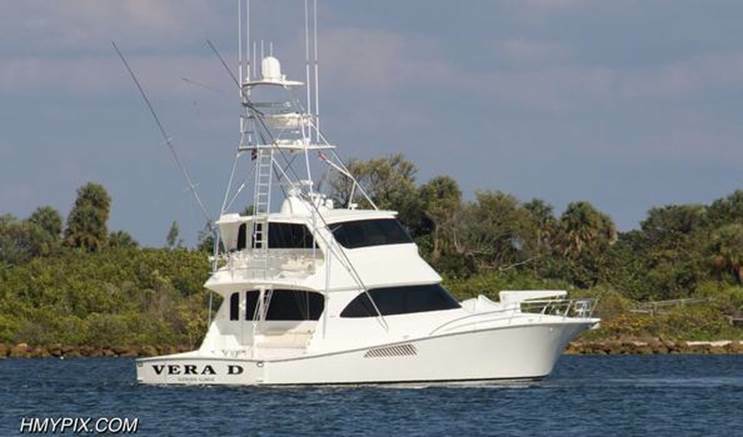 VERA D is being offered for sale for the sole reason that her owner has a new boat on order. If you are in the market for a turnkey, truly pristine late model 74 Viking…..Look no further. She is easy to see and always in show condition. This extraordinary 74 Viking was built to the highest of standards by a very knowledgeable captain and owner. No expense was spared in the build and rigging process, along with a keen attention to detail. She is maintained and cared for by a full-time captain and crew team. She carries an exquisite interior in her 4 stateroom layout and is powered by the proven MTU M9116V2000’s with worldwide extended warranty coverage. “Shockwave” is one of the nicest 74 Vikings built. With low use and an open checkbook maintenance policy, she shows like new. 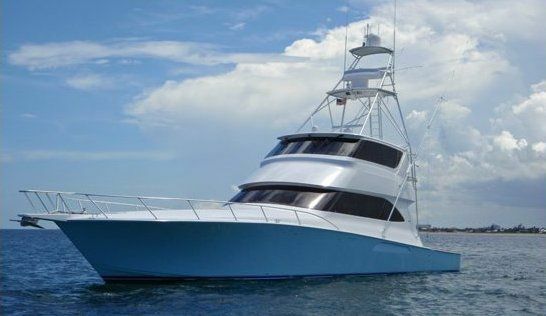 Don’t miss a great opportunity to own an exceptional travel and fishing vessel. The time and attention to build has already been labored. “Shockwave” is just barely “shook down”, turnkey and sure to please! Extended warranty on engines through Dec. 22, 2013.